The slot Slot Machine Arcade was opened by Guy McAfee in 1941 and was licensed for slots and craps. McAfee was a former Los Angeles Police officer with alleged ties to organized crime. McAfee had left California amid allegations of ties to illegal gambling, drugs and prostitution. 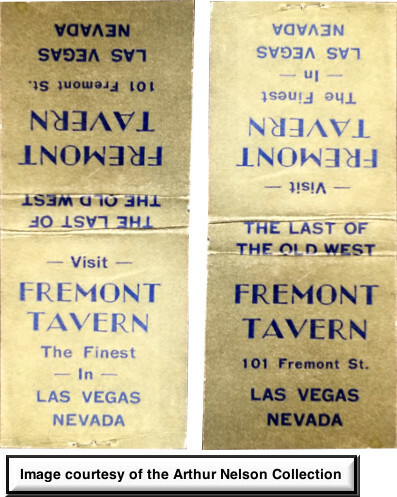 In later years he would be involved in other Las Vegas casinos including the Frontier Club and the Golden Nugget. 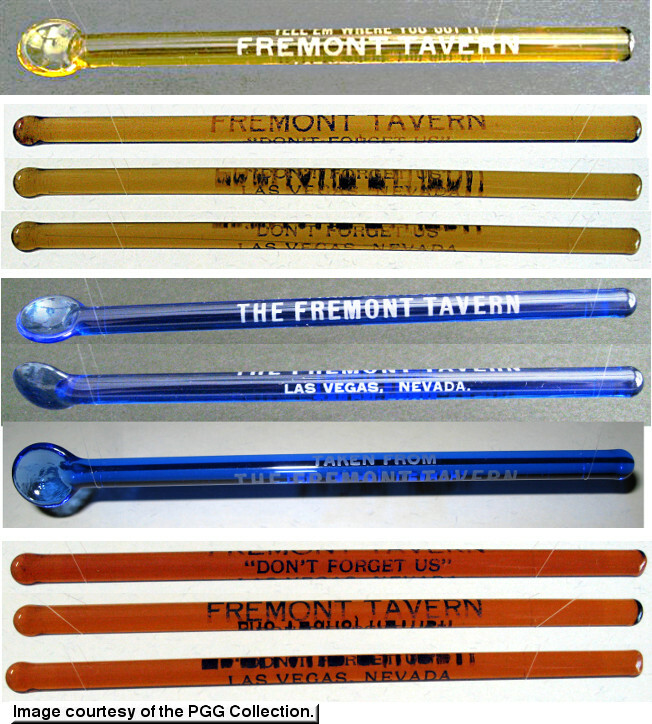 It's said that McAfee coined the term, “The Strip” in Las Vegas after the Sunset Strip in West Hollywood, CA. The area we know today as “The Strip” and Las Vegas Boulevard South had been known as the LA Highway or the Arrowhead Highway. 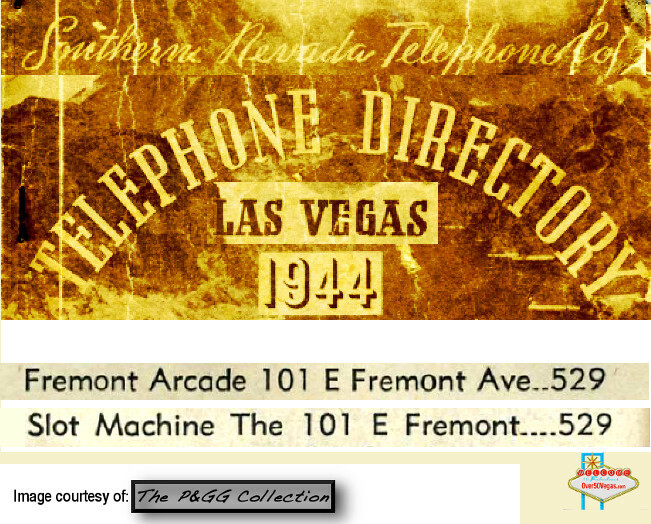 This 1944 Telephone Directory has listings for both the Fremont Arcade and the Slot Machine Arcade at 101 Fremont while other sources have the Fremont Arcade and the "Arcade" at 105 Fremont. and the PGG Collection shared these glass gems that have lasted over 70 years!